Since it was found in 2001, Top Greenwich Cleaners has become one of the top professional cleaning companies throughout the London. It provides cleaning services for residents, estate and property management agencies and out foremost goal is to build a long-term relation with our clientele. We have been providing professional cleaning services for our client for more than 13 years. If you are looking for an accredited and well known cleaning company in London then look no more as we are here to serve all your needs. When it comes to how you see your house or office, you have high expectations because your home is a reflection of you. This is why you should let our cleaning company help you with professional services. 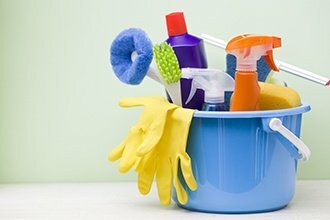 We provide a wide variety of services that include both the routine cleaning for home or office or one off cleaning projects. 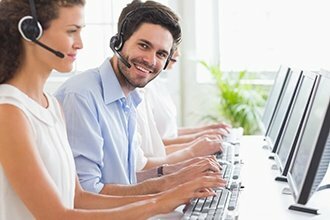 Our employees are trained in a way to deliver quality, trust, professionalism and most of all customer satisfaction. Our obsessive attention to detail makes sure that we build a long term relation with our clients by delivering high quality services at affordable cleaning prices. Moreover, our premium products and advanced equipment make sure that there is no compromise on our cleaning services. We offer different kinds of cleaning plans and you can choose the one that suits your needs. 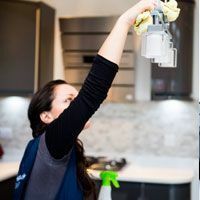 We treat your home or office with all the individual attention to make sure that the customers have peace of mind and that they experience the best cleaning service ever. Our cleaning company is fully accredited and the services we provide are professional and one of a kind. We offer window cleaning, house cleaning, carpet cleaning and all kinds of commercial cleaning at a competitive price that you will find very reasonable. Contact us today on 020 3322 7101 or use our online booking form. Your cleaners are always on time. I am a repeat customer, I had met a few of your cleaners. I give 10 out of 10 for your cleaning services. I have used your company several times, you are always friendly, reliable, punctual, quick and do a great job. Thank you! Excellent. I am pleased with how your cleaners had cleaned my Mother in law’s flat. The two cleaners were excellent. I have also decided to start using your services on fortnighly basis and I am absolutely delighted. My cleaner is great and now my house is always clean. Many thanks so far for outstanding and speedy service. An excellent spring cleaning service. The cleaners arrived at 8am as arranged. We were very pleased with the way Mariya and the other cleaner spring cleaned our home. They were very thorough and worked hard for the five hours they were with us. I am very happy with the results!